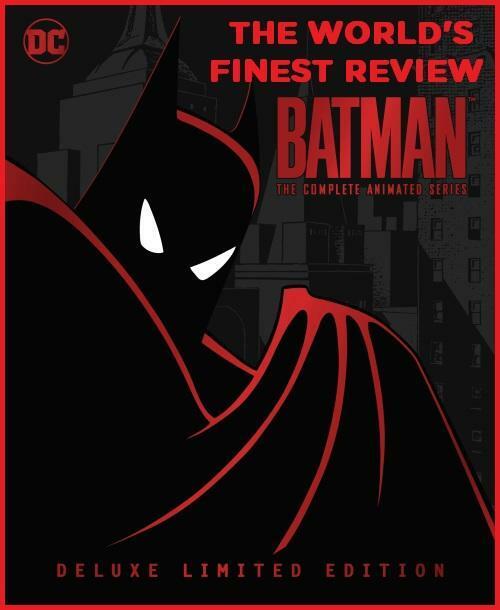 The World’s Finest has published its review of the Batman: The Complete Animated Series – Deluxe Limited Edition Blu-ray release, now available for purchase through traditional and digital retail outlets. In short, the best Batman cartoon ever made has simply never looked better, and that’s not hyperbole. The HD remaster quality is staggering and genuinely stunning. Tack on an engaging and interesting documentary on the show’s place in history, and house it all in a handsome box set, and you have one release that can not be missed. 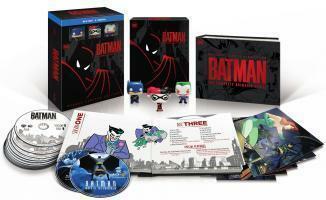 The Batman: The Complete Animated Series – Deluxe Limited Edition Blu-ray collection is the real deal. To read the complete review, click on the image below. The Batman: The Complete Animated Series – Deluxe Limited Edition Blu-ray collection is now available for purchase through traditional and digital retail outlets. 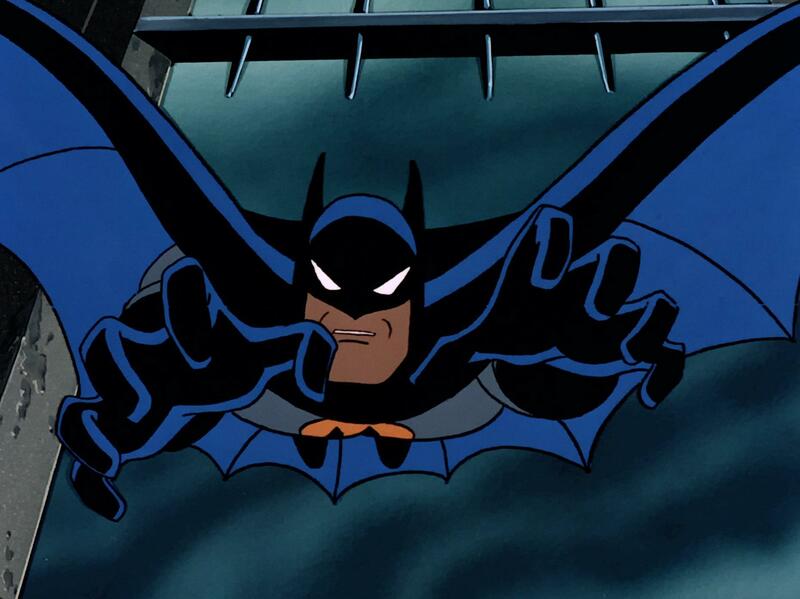 Stay tuned for further updates on Batman: The Complete Animated Series – Deluxe Limited Edition, including a wealth of screengrabs from the Blu-ray, in the near future. 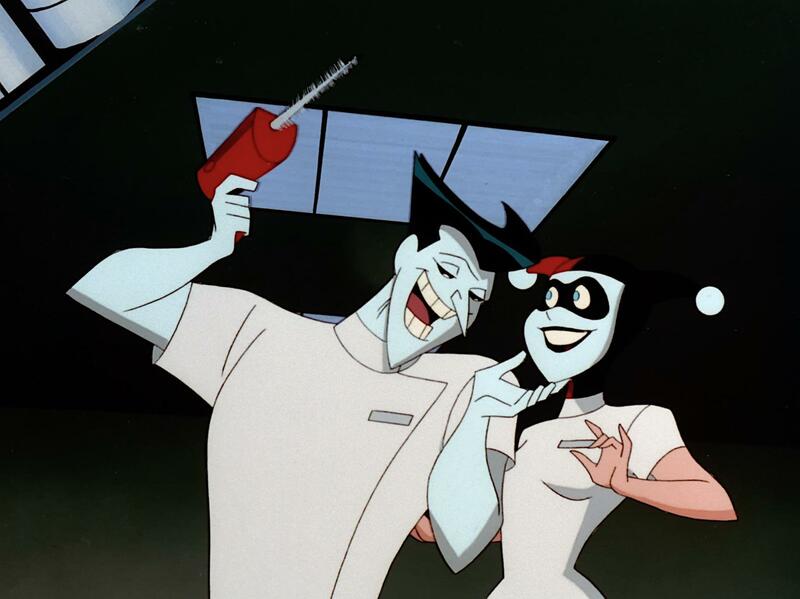 Check out the Batman: The Animated Series subsite right here at The World’s Finest for a wealth of content, including extensive interviews, reviews, images, videos, special easter eggs, exclusive content and so much more. 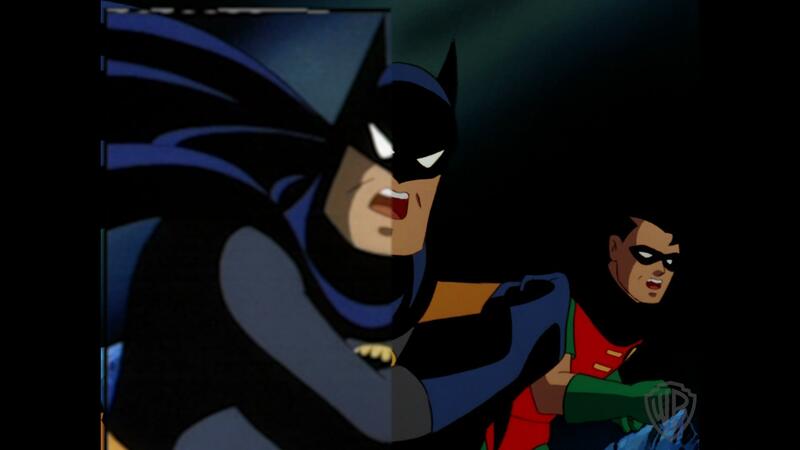 Also, for a closer look at the recent Batman: Mask of the Phantasm and Batman & Mr. Freeze: Sub-Zero high-definition remasters, click here and click here. Also, be sure to discuss the Batman: The Complete Animated Series – Deluxe Limited Edition Blu-ray collection at the link below! 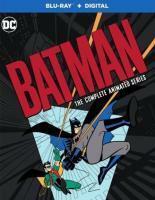 Discuss the Batman: The Complete Animated Series – Deluxe Limited Edition at The DC Animation Forum! 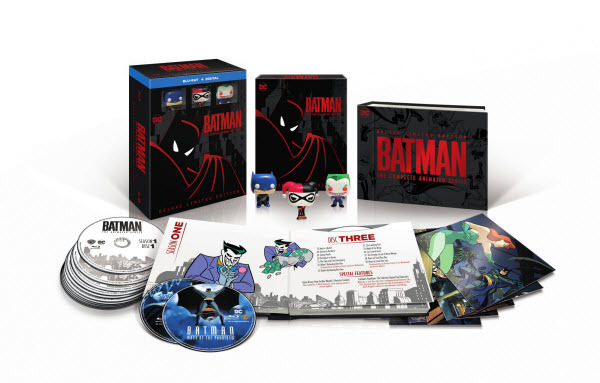 Warner Bros. Home Entertainment has provided a video clip and three new images from the Batman: The Complete Animated Series – Deluxe Limited Edition Blu-ray. The video and images are split-screen, showing the original masters on the left and the remastered footage on the right. The highly-anticipated release, now available for purchase through physical and digital retail outlets, is a limited edition of 70,000 copies. The SRP is $112.99. Warner Bros. Home Entertainment states that, even with the 70,000 copies available, sales are pointing to complete sell out in the very near future. Continue below for both the video and images from Batman: The Complete Animated Series – Deluxe Limited Edition. Further details for Batman: The Complete Animated Series are available on The World’s Finest. The Batman: The Complete Animated Series – Deluxe Limited Edition Blu-ray collection is now available to own, and can be purchased through physical and digital retail outlets. Stay tuned for further updates on this title – including a review – in the coming days and weeks. 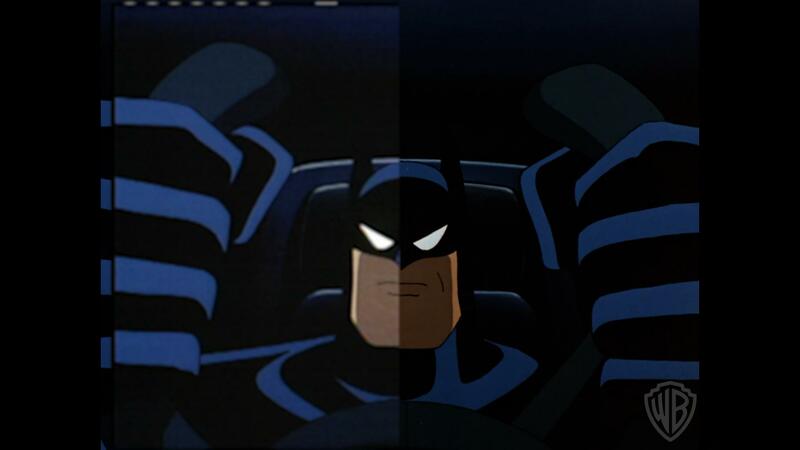 For a closer look at the recent Batman: Mask of the Phantasm and Batman & Mr. Freeze: Sub-Zero high-definition remasters, click here and click here. 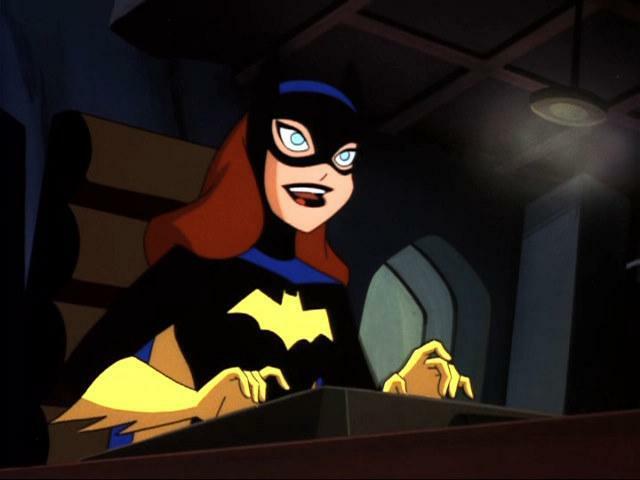 Also, check out the Batman: The Animated Series subsite right here at The World’s Finest for a wealth of content, including extensive interviews, reviews, images, videos, special easter eggs, exclusive content and so much more. Warner Bros. Home Entertainment announced it will increase the run of the Batman: The Complete Animated Series – Deluxe Limited Edition Blu-ray release to 70,000 to meet demand. Remastered for the first time since its broadcast airing, the massive 12-disc Batman: The Complete Animated Series box set for $112.99 SRP will be available on October 30, 2018. Complete press details, along with four new images of the release, are available below. Further details for Batman: The Complete Animated Series are available on The World’s Finest. Stay tuned for further updates on this title – including a review – in the coming days and weeks. 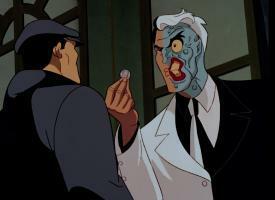 For a closer look at the recent Batman: Mask of the Phantasm and Batman & Mr. 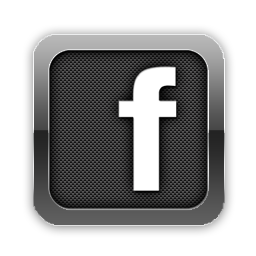 Freeze: Sub-Zero remasters, click here and click here. Also, check out the Batman: The Animated Series subsite right here at The World’s Finest for a wealth of content, including extensive interviews, reviews, images, videos, special easter eggs, exclusive content and so much more. Warner Bros. Home Entertainment has provided updated details on the forthcoming Batman: The Complete Animated Series Blu-ray collection, along with a video showing off the remastered high-definition transfer. The multi-disc Blu-ray set will now include a digital copy of the remastered Batman: The Animated Series, and has a revised street date of October 30, 2018 (two weeks after the previous release date). Continue below for complete press details and the video. Batman: The Complete Animated Series Deluxe Limited Edition, one of the most anticipated Blu-ray™ releases of 2018, will now include a Digital version in the all-encompassing package befitting the series’ revered place among all-time fan-favorite entertainment. Remastered for the first time since its broadcast airing from 1992-1995, the stunning Blu-ray™ box set ($112.99 SRP) will now be available from Warner Bros. Home Entertainment and DC Entertainment on October 30, 2018. 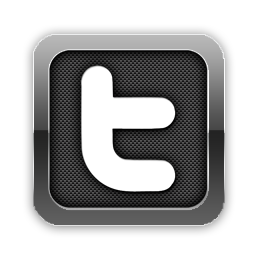 Warner Bros. Animation (WBA) is one of the leading producers of animation in the entertainment industry, producing and developing projects for multiple platforms, both domestically and internationally. WBA’s full-length theatrical film, Teen Titans GO! to the Movies, was released on July 27, 2018. 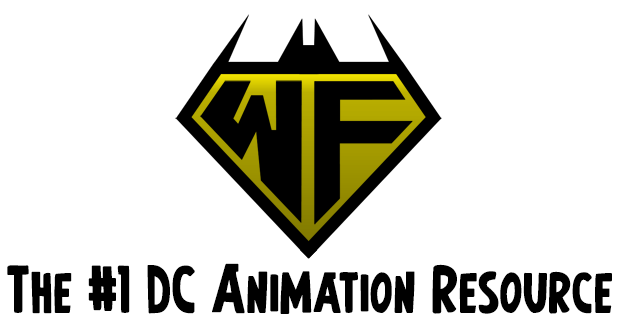 WBA’s TV series include Justice League Action, Teen Titans Go!, Unikitty! and the upcoming DC Super Hero Girls and ThunderCats Roar for Cartoon Network; Be Cool Scooby-Doo!, Bunnicula, Dorothy and the Wizard of Oz, The Tom and Jerry Show, New Looney Tunes, Wacky Races and the upcoming Scooby-Doo! and Guess Who? and Yabba Dabba Dinosaurs for Boomerang; Mike Tyson Mysteries for Adult Swim; Green Eggs and Ham for Netflix; Harley Quinn and Young Justice: Outsiders for the upcoming DC Universe digital service; Animaniacs for Hulu; and the upcoming Looney Tunes Cartoons content initiative. As home to the iconic animated characters from the DC, Hanna-Barbera, MGM and Looney Tunes libraries, WBA also produces highly successful animated films — including the DC Universe Animated Original Movies — for DVD, Blu-ray® and digital media. One of the most-honored animation studios in history, WBA has won six Academy Awards®, 35 Emmy® Awards, the George Foster Peabody Award, an Environmental Media Award, a Parents’ Choice Award, the HUMANITAS Prize, two Prism Awards and 20 Annie Awards (honoring excellence in animation). Stay tuned for further updates on this title as we get closer to release date. 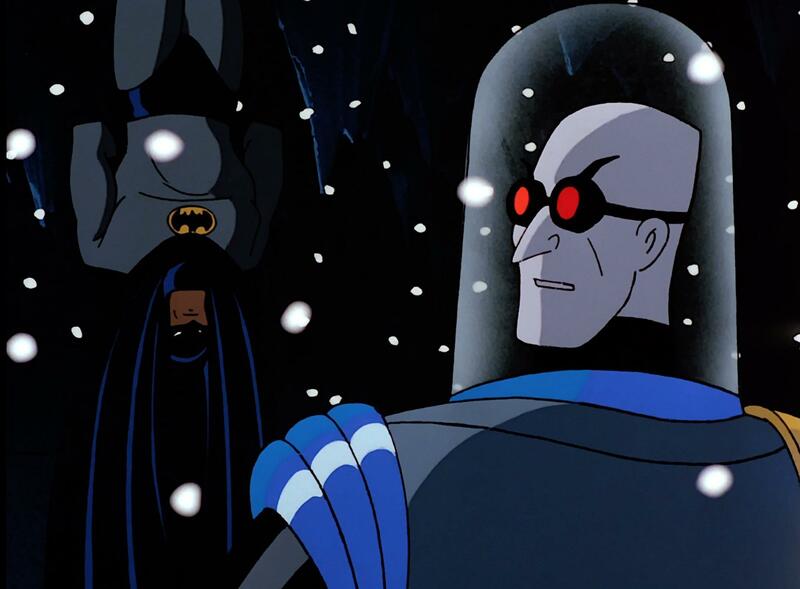 For a closer look at the recent Batman: Mask of the Phantasm and Batman & Mr. 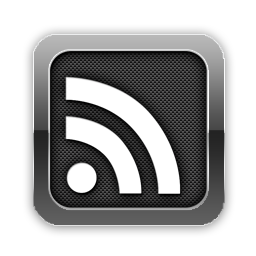 Freeze: Sub-Zero remasters, click here and click here. 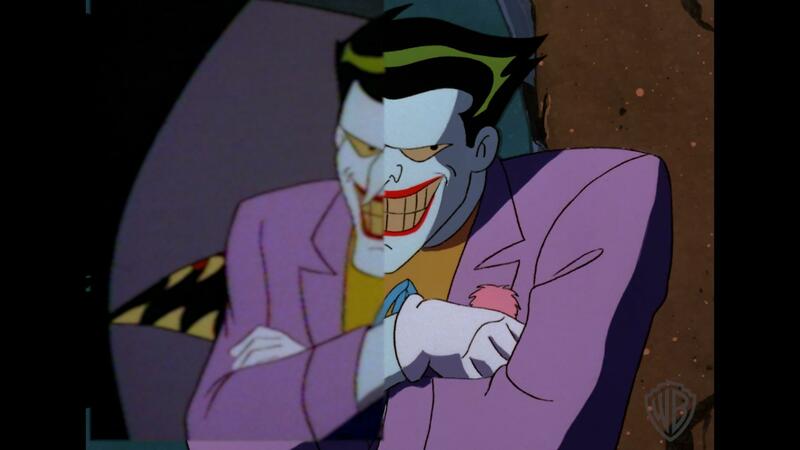 Also, check out the Batman: The Animated Series subsite right here at The World’s Finest for a wealth of content, including extensive interviews, reviews, images, videos, special easter eggs, exclusive content and so much more.